The SeQual Eclipse 5 is the latest version of the popular SeQual Eclipse, which was first introduced in 2006. 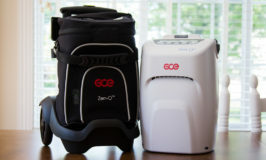 An early addition to the portable oxygen concentrator market, the SeQual Eclipse was the first concentrator to offer oxygen patients continuous flow in a portable unit. 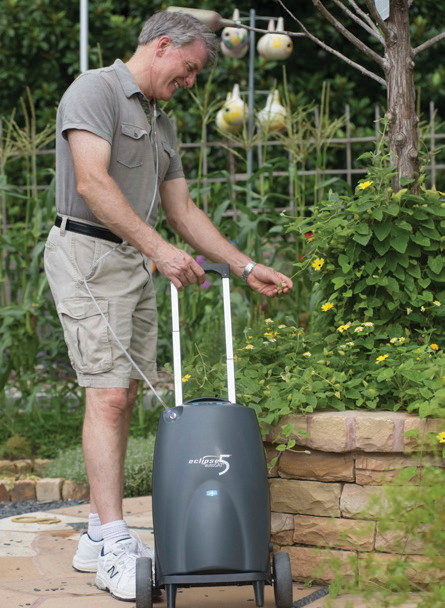 When first introduced, SeQual’s portable unit was named Eclipse “because it surpasses all other battery operated oxygen concentrator on the market today with its continuous flow feature,” said Jim Bixby, SeQual Chairman and CEO at the time. 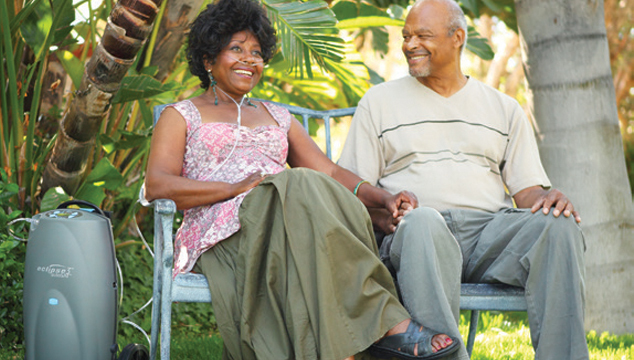 The SeQual Eclipse was also the first continuous flow portable oxygen concentrator to receive approval by the FDA and became the “predicate device” for all POCs that have followed. The Eclipse 5 comes standard with AC and DC adapters for use in the home and car, one lithium-ion battery, a wheeled cart with a large wheel base and retractable handle, and an accessory case. Optional accessories include a desktop battery charger, protective weather cover, a wheelchair holder, a humidifier adapter kit, and a deluxe travel case. According the Caire, the new manufacturer of the SeQual Eclipse, the Eclipse 5 has upgraded internal components that will provide greater reliability and the most welcome feature, full use on DC power in the car. Previous, the Eclipse 3 would only allow up to 2 LPM continuous flow in the car and would not charge the battery. The Eclipse 5 works on all flow settings in the car, and as long as the car has leftover power to give to the Eclipse, it will charge the battery that is in the Eclipse. It is powerful. Nothing beats the Eclipse 5 in terms of oxygen output. It is dependable. The Eclipse 5 is a a old model made better. By sticking with the same model for so many years, SeQual (now owned by Caire) has been able to focus on making improvements. This had made the Eclipse 5 one of the most reliable units on the market today. It is the most versatile in terms of oxygen delivery. With continuous flow settings up to 3 LPM, pulse settings up to 6 and super settings up to 192 mL per breath, the Eclipse 5 can meet the needs of most oxygen patients. 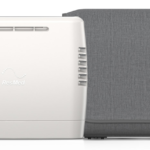 Even when there are tricky breathing issues, the adjustable rise time and pulse dose sensitivity make the Eclipse 5 the most clinically effective POC on the market. Unlike its predecessor, the Eclipse 3, the new Eclipse 5 can be used in an automobile at all flow settings and will charge the battery. Of course, I wish the Eclipse 5 were smaller and lighter. At eighteen pounds, the Eclipse 5 is difficult, and almost impossible, for people who are frail or have a small frame to pick up and maneuver. The new SeQual eQuinox will help at little with a weight of only 14 pounds, but it will be an entirely new unit that will have to prove its dependance and reliability. All-in-all, if the size and weight is not a hindrance, I would heartily recommend the SeQual Eclipse 5 for those will higher oxygen needs. My mom is 89 and is on continuous oxygen between 3-4 ml. We tried Inogen , but she could not use it because she needed continous pulse. She is frail, uses a walker, but feels confined to her apt. due to using portable tanks. Any recommendations? Also, regrding oxygen tubing, any new devices to keep it from getting tangled. My mom already has fallen over the tubing and broke her hip. I find it hard to believe there is nothing on the market for oxygen tubing. Do you know of anything? I’m afraid there is no good portable oxygen concentrator solution that will work well for your mom. The SeQual Eclipse 5 will provide up to 3 LPM (no POC goes up to 4 LPM), but it is 18 pounds and most likely too bulky to fit her needs. The new SeQual eQuinox will be coming soon, but it will be about 13 pounds, which is probably still to heavy for her to handle. Have you looked into liquid oxygen? It’s still a portable tank but smaller liquid tanks last much longer than compressed gas tanks and might allow her to leave home more often. Liquid oxygen, if it is available in your area and if your mother’s doctor will give her a rx specifying liquid, offers far more portability for a flowrate higher than 3 lpm than any “portable” oxygen concentrator. I use it 24/7 and just got back from a week long rv trip to the Grand Canyon for which I took a large liquid reservoir as well as my portable which I fill from the large reservior. The one downside (which it shares with compressed oxygen) is that one can’t take in on a plane, although one can use it on many cruise lines. How would you compare the SeQual Eclipse 5 with the Inogen One G2 and G3? The SeQual Eclipse 5 is the most power POC on the market, with a continuous flow option up to 3 LPM and pulse flow settings up to 9. The Inogen units are pulse only units (up to Setting 6 for the G2 and Setting 4 for the G3). The advantage of the Inogen units is their size and weight makes them much more portable than the Eclipse. The oxygen needs of the patient will determine which model is best. How can we possibly know though? Stores will not let us try out different POCs, unfortunately. My doctor doesn’t even know how to do the math for a portable pulse vs continuous say 3 L ordered amount. Plus all POCs have different delivery ml amounts… I know I use a tank with a conservator on 3 and I am fine with it, but when I’m at home I am on 3 L continuous on my concentrator. Your concern is precisely why I recommend purchasing from a dealer with a good return policy. i need info on the liquid oxygen machines. I am rather frail and can’t handle an 18pounder so the eclipse is out for me. The liquid sounds possible for me. I need weight, price, and all other pertinent details. Thank you for you help. GInny B. My expertise is in oxygen concentrators not liquid systems, so I’m afraid I cannot be of much help to you. I have heard good things about Caire’s liquid oxygen systems. I recommend beginning your research at their website. Also, since you would have to receive your oxygen from a local homecare company, I recommend you contact the homecare companies in your area for additional information. I am concerned about which site to use for purchase. I want the best price with warranty and accessories. Unsure of protection with companies on web with this large of purchase. I recommend you read my article on why your dealer is so important. I offers tips on what to look for in a good dealer. I have a sequel 5 for about 5 months using 3 lpm.My Dr has increased my lpm to 5-6..I love my sequel 5 and hate to go to tanks,esp when I like to visit Grandchildren out of town. 4 hrs and 12 hours by auto…you mentioned the oxymizer pendant in your comments previous. Would this give me enough boost up to 5 Or6..? Also with a cost of 25.00 each, how long can one last and will any insurance cover,medicare advantage plan?? Thanks for your help to many of us who are lost on this subject.. According to the Oxymizer Information Booklet, when your Eclipse is set at 3 LPM, you will receive 5.5 LPM using the Oxymizer Pendant. Also, according to the Patient Instructions, you should replace the Oxymizer every three weeks. However, that most likely assumes 24/7 use, so you may be able to wait longer if you only use it for day/travel use. I am knowledgeable about insurance coverage for this product; I recommend you contact your homecare company that handles your insurance billing. Online retailers do not handle insurance billing so you can expect to pay for it out-of-pocket if ordering from them. Wow, I am happy to have stumbled upon your site this evening. Thank you for the information. I am helping my brother search for a portable unit. I did not even know the options of continuous vs pulse. I had the original SeQual Eclipse and used it for over 2 years, it always worked perfect. Had another bout with COPD and when I got out of the hospital my health care provider replaced it with the liquid oxygen system. The only drawback to the liquid oxygen system is the weight of the storage tank. That makes it impossible to travel over night. I tried to get my health care provider to give me a POC but they balked at the idea saying that what I had was sufficient for my needs. I went ahead and purchased my own POC (SeQual Eclipse 5) so now I feel I have the best all around system for anything I want to do. I use my liquid around the house and anywhere for day trips and when we want to travel my SeQual plugs into the auto or on battery for walking ect. I am on a c-pap machine at night so I had to have a POC the had constant flow for overnight. Your 02 provider has travel liquid 02 tanks. They are good for about a week of travel in the car (or in our case, our PU truck). Don’t let them bamboozle you….go to your doctor and complain. Medicare no longer pays for liquid oxygen in my area. I was grandfathered in so I can receive it until the health care company I am with decided to no longer carry the liquid. I have checked with other companies in our area none of them carry the liquid oxygen anymore. I just bought an iGo Portable concentrator for my Mom. What is the longest O2 tubing we can use for stationary use? I want her to be able to maneuver around my apartment when she visits. She is on 3l continuous flow, if that makes a difference. According to the manual, you can use a maximum of 50′ on continuous flow.